It’s a great year for new IPs. Thanks to some new hardware arriving, the time is ripe to build new franchises and gameplay experiences. 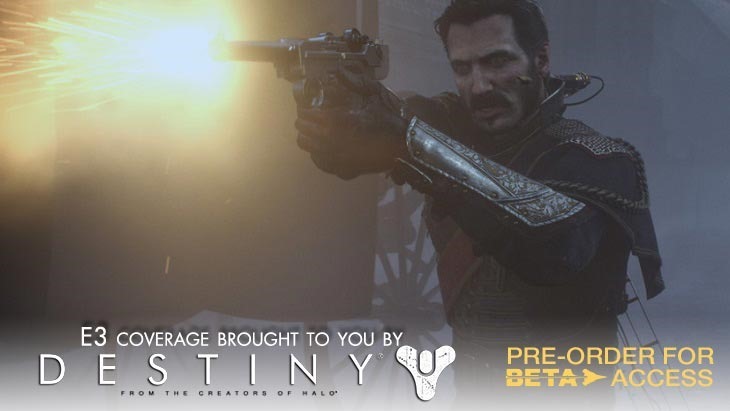 One such game is The Order 1886, a fusion of action and narrative. It just might be the prettiest game in the PS4. But it does, unfortunately, feel rather..mediocre in other departments. We got a chance to see some extended footage of what was shown at the Sony press conference at E3, before I legged it to go and get some hands on time. The game looks simply incredible, and any amount of hyperbole dished towards it is well deserved. What Ready at Dawn has managed to do is revolutionary, with characters looking like they’ve stepped out of a high quality CGI animated movie. Ready At Dawn wants to blur the lines between interactive combat and immersive storytelling, and they just might be onto something here. The world of The Order 1886 is rich, there’s a deep mythology being developed and the characters ooze personality that feels natural. The transition between cut-scenes and gameplay is seamless, making it feel as though you’re playing highly detailed, sumptuously sculpted movie. The weapons are interesting, with Galahad sporting a thermite rifle that fires off explosive flares. There’s a certain thrill in watching everything explode in particle-effect laden cinder. But the combat feels rather…average. Galahad, the protagonist of the game, can roadie run and hide behind crates with the best of them. There’s a combat sense of sorts, but otherwise nothing about the game segment that we played felt special. It was paint-by-numbers action. To be fair, this could be because we were fighting revolting peasants, in a stage that was devoid of any of the big Lycan threats. Ready At Dawn teased us with hints that these werewolf foes would be nasty business when unleashed in The Order, so maybe some hope still remains. It’s scripted and linear, and heavily narrative driven, and that – when fleshed out – could help propel it beyond being a simple action. But if The Order 1886 wants to be remembered for being more than just a pretty face, it’s going to need to step up its game in the section that matters the most: Gameplay. Right now, based on what we’ve played, it just doesn’t.